We are excited about our destination and even more excited about seeing our Navy family again. It was difficult to decide what to do since Virginia Beach and its surrounding areas are loaded with wonderful places to plan mini excursions. We worked with a great local group to come up with some pretty spectacular outings. Review everything and make your decision to join us in Virginia Beach! We are positive you will be glad you did! 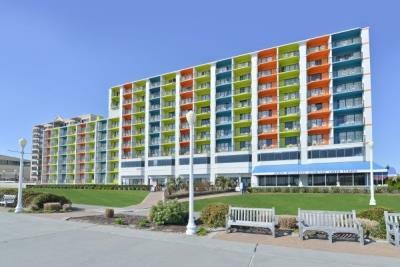 The dates are May 8 – 12, 2019 at the Best Western Plus Sandcastle Beachfront Hotel, located at 1307 Atlantic AV, Virginia Beach, VA, 23451. As always, we will have a complimentary hospitality room. We are allowed to bring in our own snacks and beverages, including alcoholic beverages. 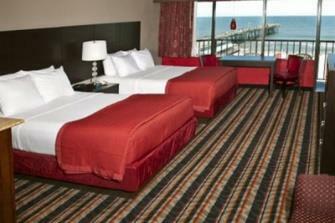 Did we mention every room is oceanfront with fabulous views? Each room is equipped with a safe, micro wave, refrigerator, and a private balcony. The hotel is consistently in the top 10 on TripAdvisor and the rate includes an all you can eat breakfast buffet. To secure the agreed upon rates, please contact the hotel directly by calling 757-428-2828 and identify yourself as being with the USS Brownson Association. The hotel is requiring a deposit of the first night, plus appropriate taxes, to be paid at time of reservation. Individual reservations must be cancelled 72 hours prior to arrival to receive a full refund of deposit. Reservations will close on April 8, 2019. After such time the rooms will be subject to current rate and availability. At this time, the hotel is honoring the reduced room rate should you arrive a day or two earlier or stay a day or two longer than the official reunion dates. Plus, the hotel is within walking distance of excellent seafood, barbeque, and steakhouse restaurants and maybe a few brewpubs. Also, we will be only steps from the beach and boardwalk. We are working with Virginia Beach locals to set up a couple side excursions which will be shared in the next newsletter along with the registration form. Until then, book your room! As a reminder; in an effort to make it a little more affordable for our members, Ben Glasser will be holding a cash raffle (or two) with all proceeds used to offset the cost of the reunion thus passing the savings to you. Thanks, Ben! Polish up your tall tales and USS Brownson memories of “life on the Bouncing “B”! As always, the Association invites you to enjoy the complimentary hospitality room complete with beverages and snacks as a general gathering spot for all members and guests. The hospitality room will be open during the entire reunion with exception of the times we will be on the extra excursions (if there is no one staying behind) and during the Association’s general business meeting. The Banquet will be held on Saturday, May 11th. There will be a cocktail hour, followed by dinner and of course, a guest speaker. Details are still in the works but as always, you can expect a wonderful evening filled with good food, delightful conversation and a great speaker. Two fabulous excursions are planned for all attendees and a third excursion is planned for the spouses/guests! Each package price includes: motor coach transportation, guide service, admissions as listed, meals as listed, taxes and meal gratuities. Prices are based on a minimum of 35 people per tour in order to keep the trip affordable and insure it’s a go. We must confirm attendance numbers by April 1, 2019. • Join your tour guide on the motor coach and tour the Norfolk Naval Station, the largest naval installation in the world. Home port to 59 ships, ranging in size from aircraft carriers to submarines, 18 aircraft squadrons and headquarters of the Atlantic Fleet, this naval complex occupies over 8,000 acres of land and is home to more than 70,000 military personnel. Navy personnel will board the coach and take you past the 14 piers, through the Naval Air Station, and the historic homes built for the 1907 Jamestown Exposition on “Admiral’s Row” which now house the flag officers. Lunch will be included on base. • Next, learn about Norfolk’s colorful history of over three centuries as you ride through the lovely historic district and restored areas. View the stately homes along The Hague, old St. Paul’s Church, the Moses Myers House, the Chrysler Museum of Art, MacArthur Memorial, the historic Freemason District, Nauticus, a maritime center, the Battleship Wisconsin, the restored waterfront area, as well as many other points of interest. Downtown Norfolk has undergone a complete transformation in the last decade and features the beautifully renovated Town Point Park with the Armed Forces memorial, a beautiful $34million cruise terminal, waterfront condos and state of the art shopping area. • Then cruise on the Victory Rover through the bustling Hampton Roads Harbor, one of the largest in the world. Enjoy fascinating and entertaining commentary during the two-hour excursion aboard this naval themed vessel. Take in the sights of aircraft carriers, nuclear submarines, guided missile cruisers and all of the other ships that form the world’s most powerful armada. • Enjoy a stop at Doumar’s, home of the world’s first ice cream cone machine. Abe Doumar created the first ice cream cone at the World’s Fair of 1904 in St. Louis. It was so successful that he designed a four-iron waffle machine that he launched during the Jamestown Exposition of 1907. Today, the family business still bakes cones on the original cone machine. While at Doumar’s, guests will be given an introduction and history and everyone will be treated to an ice cream and cone. PRICE: $84.00 PER PERSON, inclusive. Lunch and ice cream treat included. • Board the motor coach with your guide and visit one of Virginia Beach’s most revered attractions, the Military Aviation Museum. The museum is home to one of the largest private collections of World War II and Korean War era fighters, bombers, trainers and seaplanes in the world. Many aircraft have been fully restored to their World War II condition and are used for flight demonstration, movie production or commercials. Enjoy a guided tour of the galleries and shopping in the gift shop which is stocked with all things flight related. A boxed lunch will be included at the museum. • In the afternoon, visit Young Veterans Brewery, one of Virginia Beach’s newest craft breweries, owned and operated by veterans of the Iraq War. This will be a unique and fun experience for all! Guests will be treated to a private, behind the scenes tour of how these unique beers are brewed, and conclude the tour with several craft beer tastings. • Then, enjoy beautiful views of the Atlantic Ocean and the Chesapeake Bay as you learn about the history of Virginia’s largest city and get a glimpse of modern-day Virginia Beach. See the First Landing Cross at Cape Henry where the English colonists first came ashore in 1607 prior to settling at nearby Jamestown. Walk out on the overlook to see where the bay and the ocean meet, and where the famous Battle of the Capes took place during the Revolutionary War. • Enjoy a stop at the Old Cape Henry Lighthouse, built in 1792, this lighthouse was active until the late 1800’s and is currently a Virginia Historic Landmark. Guests may choose to climb to the top of the Lighthouse (small admission fee, pay on own) or shop in the gift shop for all things Lighthouse related. Ride down the resort strip, see the historic Cavalier Hotel as well as the Tidewater Veterans Memorial, a unique structure which pays homage to veterans everywhere. PRICE: $82.00 PER PERSON, inclusive. Lunch and beer tasting included. Board the motor coach with your tour guide and travel to the pedestrian-friendly, outdoor mall Town Center for high-end shopping or lunch on your own at one of the many restaurants. Stroll the tree-lined promenade, enjoy the open-air fountain plaza and explore the retail boutiques at the region’s newest shopping destination. While there, the group will enjoy a chocolate tasting at The Royal Chocolate, a sweet boutique featuring a variety of gourmet selections for guests to taste. This tour must have 30 participants to go.